Loaves are, in my humble opinion, the underrated hero of the cake world. They often appear understated but, ooo baby, can they ever pack a flavour punch! This little earl grey number is one of my go-tos for tea time when I want to amp up a classic tea loaf just a bit. It’s pretty darn easy to make and decorate and even easier to unwittingly polish off. I mean, I can’t be the only one who continually goes back for “just another sliver” only to realize I’ve eaten half a loaf, right? Preheat your oven to 350ºF and lightly grease a 9- by 5-inch standard loaf pan with non-stick cooking spray. In a bowl, sift together the flour, baking powder, and salt. Stir in the tea leafs and set aside. In a separate bowl, beat the butter and sugar together until light and fluffy. This should take about 2 minutes using a handheld or stand mixer fitted with a paddle attachment. Add the eggs, one at a time, then add in the vanilla and mix well to combine. With the mixer running on low, add in 1/3 of the flour followed by ½ of the earl grey infused milk and repeat until all of the flour and milk are used up. Mix just until combined. Scrape the batter into your prepared loaf pan and bake in a preheated oven for 45 to 55 minutes or until a cake tester inserted into the centre comes out clean. Allow the cake to cool slightly in the pan then turn the cake out onto a cooling rack to cool completely. 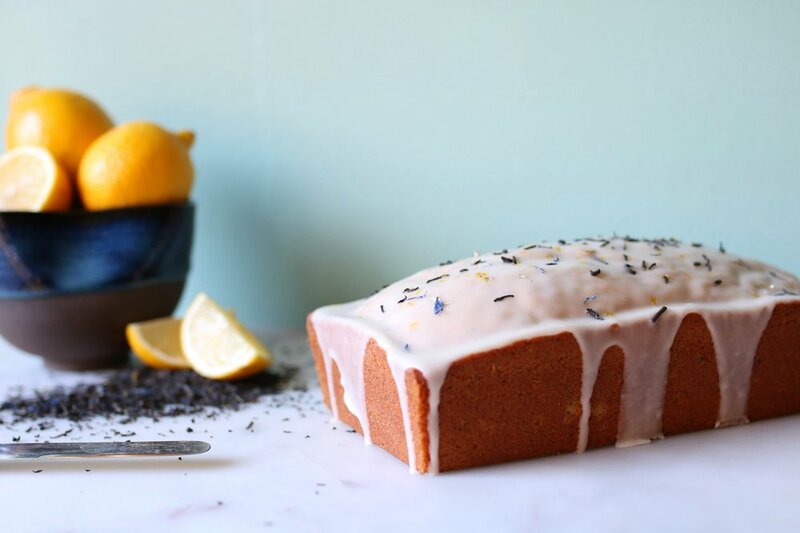 Once cool, drizzle the top of the loaf with a generous helping of Earl Grey Glaze and a scattering of loose leaf Earl Grey tea and some lemon zest. Heat the milk in the microwave and add the tea bag. Allow this to steep for 10 – 15 minutes to infuse the milk then remove the tea bag. In a small bowl, whisk together the icing sugar, tea leafs, milk, vanilla, and lemon juice. If the glaze seems a bit thick, simply add a bit more milk to thin it out. If it is too thin, add some more icing sugar.